There are so many different types of rings to choose from when you are planning on asking that special someone to spend the rest of her life with you. Though when you are truly in love and you know she will say yes, most women won’t really mind what the ring looks like or how big the diamond is; she will just be happy that you will be spending the rest of your lives together and that you are going to get married. She will be wearing this ring for the rest of her life most likely (some women like to choose a different ring to match the wedding set), so it will need to be something that fits her personality and her taste. Some women are more prone to white gold, while others only like yellow gold. You will want to make sure that you know your special lady enough to know this simple fact about her. The first thing you want to do is find out how much you can spend on the ring. There are many jewelry stores that you can finance the ring at, but you want to make sure that it will be something you can afford. 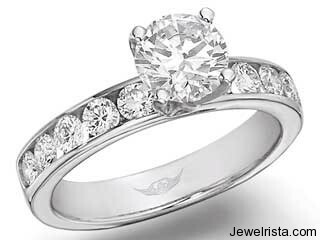 An engagement ring is normally a solitaire diamond and sometimes has accent diamonds or other gems in the shank (band). Many couples will go and choose their rings together, while some men like to go and surprise their women with a ring of their choosing; this depends on your relationship and how well you know the woman you are planning on marrying. The next thing you will want to do is pick out the setting. 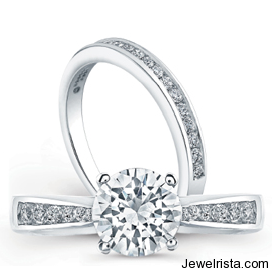 There are several different types of settings including prong, invisible, flush, bezel, tension, channel and many more. Once you have found this perfect setting, one that will look perfect on her finger and not be too bulky, you will then need to decide on the diamond that will be placed into the ring. There are many different factors you need to think about when picking out your ring. You will need to make sure you are dealing with a reliable dealer who can give you all the information you need to find the perfect diamond within your budget. Remember the four C’s when choosing the diamond for your engagement ring, color, cut, clarity and carat (size). There are also many different shapes to choose from including princess, square, oval, marquise, heart, pear, emerald and many more. A diamond that is cut correctly will have the best shine and sparkle; if cut incorrectly it will lack in appearance. You will also want to choose a diamond that has the least amount of color in it, the clearer it is and the least imperfections it has, the more sparkle and shine there will be. Getting a warranty on your engagement ring is also very important. You will want a warranty that allows for cleanings regularly, repairs, sizing and theft or loss. This is a big investment and it will be the most important piece of jewelry you will ever give her, it’s very important to protect it with a warranty. 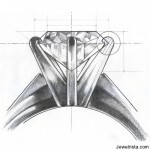 Once you’ve chosen the ring setting, the diamond shape and size you will be ready to get the ring sized. 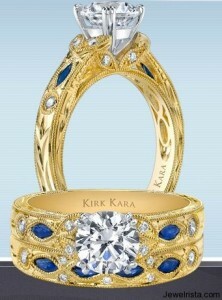 You might also prefer to get the ring engraved, but this is normally done more with wedding bands. Purchasing an engagement ring is a very big step in your life and will change her life forever, choosing the right one will not only show her how much you love and know her, it will also help to make sure that she will say yes to your proposal!